Do you love the idea of growing bulbs but lack garden space to do so? As long as you have an area indoors where you can put potted plants, so that they’ll receive adequate sunlight or temperatures, you can grow bulbs. Growing bulbs inside of your home, or your in your place of business, can bring a bit of spring or summertime to you if you’re not able to enjoy it outside. It’s easy to make this happen, you just need to plan ahead. There are two kinds of bulbs that you can grow indoors, those you don’t need to chill and those you do. Bulbs that don’t need chilling are ones that grow naturally in temperate climates. These bulbs include the beautiful Amaryllis and paperwhites. They don’t require any cooling period because their native climates aren’t chilly. Most other bulbs are found in cool-temperature regions, so you’ll need to chill them to help them blossom. These bulbs include daffodils, tulips, hyacinths, Dutch irises, and crocus. 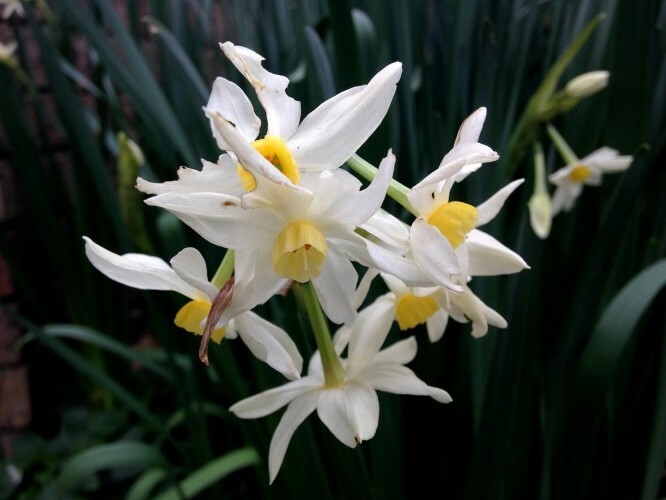 Bulbs you don’t have to chill can grow with a simple planting procedure. All you need to do is fill a pot with soil and push the bulbs down inside. If you want, you can even place your bulbs in a shallow bowl and place pebbles around, and over, them. Water both planting versions and watch the bulbs bloom in about four weeks (make sure these bulbs are placed where they receive partial sunlight during the day). The bulbs that naturally grow in cool temperatures use a biochemical response process to begin the development of an embryonic flower, which will soon become a full-grown flower. These bulbs require at least 16 weeks of cold before a flower will start to blossom and become fully grown. Then, you can place them into warm and sunny areas. If you don’t adhere to this cooling process, you may still get a flower from your bulb but it will likely be stunted. To grown bulbs indoors, you simply need to choose the bulbs you want and then plant them, or prepare them for planting, according to their varieties’ needs. The easies bulbs to grow inside (although none are extraordinarily difficult), include hyacinths, crocus, and mini-daffodils. Sometimes, you can get luck and easily grown tulips in your house or other space. Try to place your bulbs in bowls or pots that are about four to 6 inches deep, and leave at least 2 inches below the bulb for the roots to grow. It’s okay if the tops of the bulbs are even with the bowl or pot’s rim. Finally, give your bulbs a good watering after planting, offer moderate water during the waiting phase, and enjoy them when they finally come into bloom. Do you love the idea of growing bulbs but lack garden space to do so? As long as you have an area indoors where you can put potted plants, so that they’ll receive adequate sunlight or temperatures, you can grow bulbs.Growing bulbs inside of your home, or your in your place of business, can bring a bit of spring or summertime to you if you’re not able to enjoy it outside. It’s easy to make this happen, you just need to plan ahead.